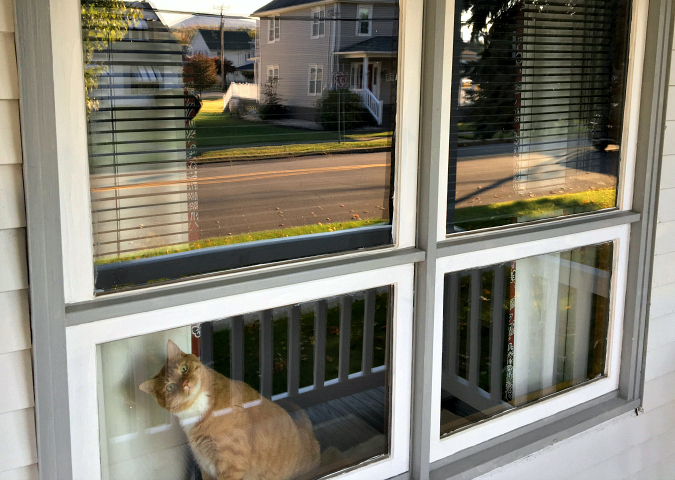 love, laurie: how much is that kitty in the window . . .
how much is that kitty in the window . . .
over the last six years that we have owned our house, we have never been without some type of a project. it seems like there is always something that needs attention, especially when you own an old home from the 1930s. our home still has its original windows. we know that we could replace them with modern energy-efficient windows, but we really love the charm of those old wooden ones. since they're old and wood, they needed a lot of attention. last fall, we started working on our "window project" and we successfully tackled 11 of our 15 wooden windows. it was a major project and it took forever. we didn't get to finish the last 4 windows before the winter set in and the weather got to be gross. lately, we've been trying to get as much work done as possible outside before winter comes again. whenever we do a project we always like to take before and after pictures for our home scrapbook. 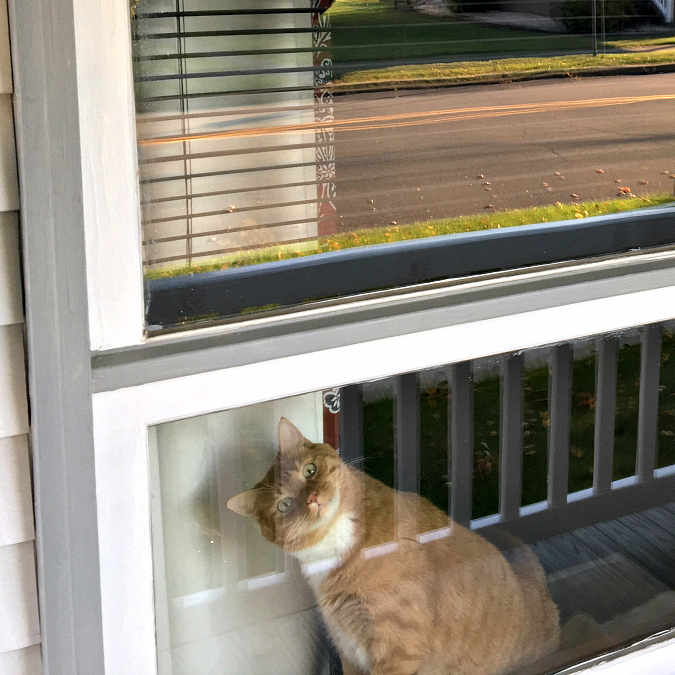 before tackling our 2 front porch windows, ryan took a before photo of them. when i went back to look at the photo he took on his phone, i just about died laughing at what i saw looking back out of the window. leko was perched inside the window with the funniest expression on his face. oh, it was priceless! that guy sure keeps us in stitches. remember that old song "how much is that doggie in the window?" that's all i could think of when i saw this picture. here is a zoomed-in version of that face . . .
i'm pleased to say that our windows look much better now than they did in these pictures. thanks for all of your hard work, ryan!!! Definitely Priceless. He just wants to know what is going on outside without him. Leko just makes me laugh! Love the expression on his face.